I’m about to sound like the most annoying fan girl but I won’t care. 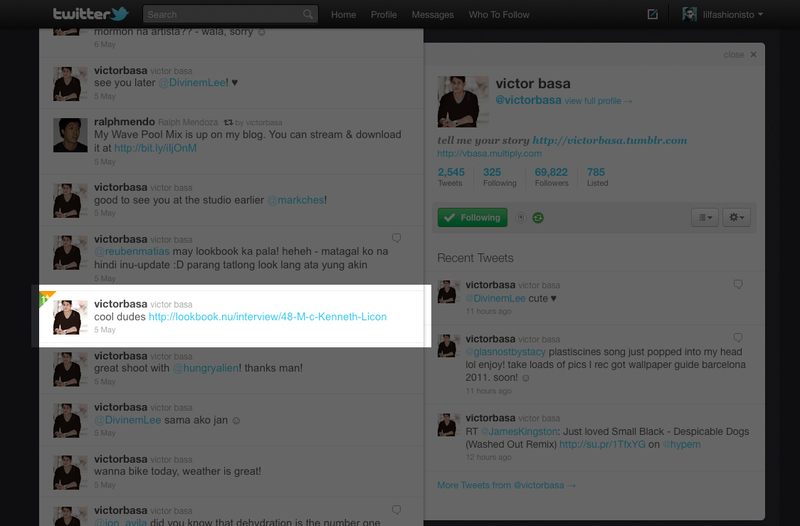 I just found out Victor Basa read my Beyond the Hype interview on Lookbook.nu and tweeted it as well quoting Cool dudes. I know this is a bit of a crazy reaction but hey! — I did have the slightest (alright fine) biggest crush on him at one point. I mean why not, the boy is adorable. I won’t mind styling him for a shoot or better yet, working with him for a photoshoot.